Corcapa 1031 Advisors provides North Carolina 1031 Exchange Replacement Property opportunities with an exclusive focus on Delaware Statutory Trust (DST Properties) investments and Tenants in Common (TIC Properties) investments. Corcapa 1031 Advisors is an alternative investment company specializing in 1031 Exchange Replacement Properties in the form of Tenants in Common (TIC) and Delaware Statutory Trust (DST). 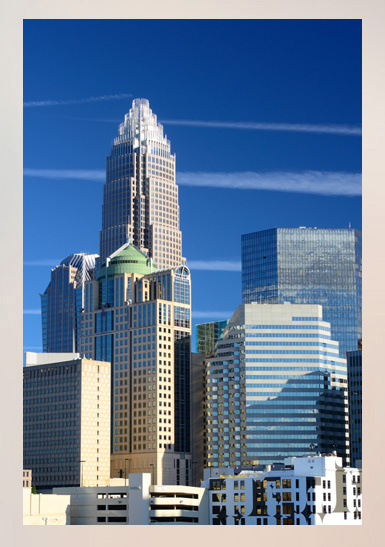 Corcapa assists in 1031 exchanges in North Carolina and throughout the country. Thank you for your advice and assistance in making 1031 exchange decisions. We've very much enjoyed working with you and Corcapa 1031 Advisors. Thank you Christina, for all of your help last year. You're the best! It’s always a pleasure working with you, and I appreciate everything you did to help me make this 1031 go through. I am always singing your praises want to talk to anybody who might be doing a 1031. All the best. Christina, I wanted to tell you how much I appreciated all you did helping me with my 1031 exchange investments and just general good counsel. You were there when I really needed your help and the DST investments you put me in have performed at or better than I expected. Your advice was definitely in my best interests and very cordially given. I could not have had a better adviser in these transactions. You went way out of your way to facilitate these transactions including traveling to Coronado over the 4th of July to explain these investments and other nuances of 1031 investing. Thank you very much for all you did. If you ever need a recommendation from me, please feel free to ask. You are the best! Thank you very much and have a very Merry Christmas and a prosperous New Year. Thank you for everything Christina, I’d say it was a pretty smooth operation. Looking forward to the next one. I’ll be in touch when we get some action on the vacation rental. I meet Christina about 8 years ago while researching fractional ownerships in large apartment complexes. We have just completed three transactions that were flawless and exactly as promised. Her knowledge of the products and economic analysis of the various properties was superior and highly professional. She took the time to know my requirements and personality to provide the products that fit my personal investment needs. Thank you again for your patience with my endless questions (you can tell you have kids 😉 and your guidance in making all of this happen! Thanks so much for the good advice and expediting the closings. We will be in touch. That's great news. Thank you for all of your help and patience. Because it was my first exchange I wanted to know not only how it worked but what worked best. I appreciate your understanding. You treated me like I was doing a multi million dollar deal. Thanks for all of your help, and have a good week. If you would like to use my name as a reference, please do so. You will get an A+. Wow, this is great news. This was one of the easiest, most professional transactions I've been involved with. Job well done! I wish doing business was this smooth all the time. I keep meaning to send you an email, as well. We are THRILLED with the DST’s!! Beyond thrilled, actually. Having a nice, even cash flow is really a wonderful thing. I’ve sent along your contact info to a couple of my friends but they’re still thinking. Hopefully they’ll be in touch at some point. Sure beats owning directly! Thanks again for everything. Christina Nielson was a pleasure to work with. I felt that she thoroughly researched potential investments and explained them well to us. Making decisions of this size is difficult and she showed a great deal of patience with our hesitations and changes of mind. Though the 1031 process has tight deadlines, I never felt that Christina applied unnecessary pressure to us as we tried to make decisions. I felt she understood our objectives and needs and guided us through the process well. Things are rolling along exactly as expected. Our checks are rolling in to our bank just like they are supposed to. Thank you for your help. Hello Christina, This is great! Thank you for assisting us with the various forms we needed to fill out and for your professionalism and attention to detail. We are very happy to be working with you and Corcapa Advisors.